DC grounded at the base to reduce the risk of lightning damage to equipment. Simple U-bolt mounting onto a pole, without large offset loads from a dipole type. 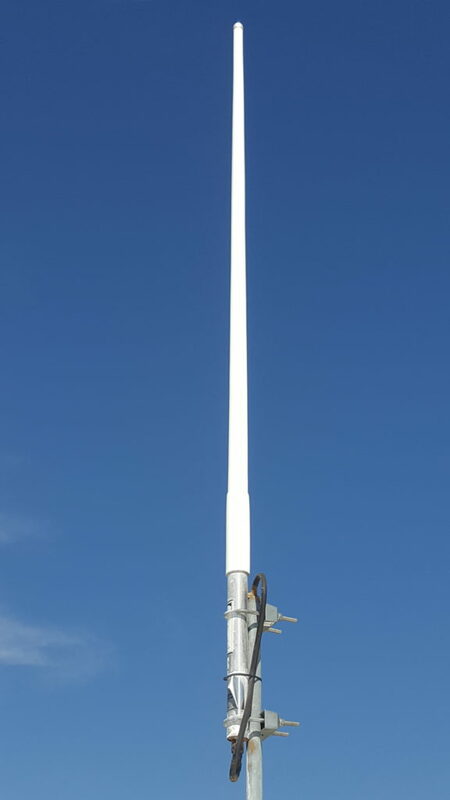 Increased height compared to a folded dipole on the same mast. More elegant and not as noticeable as a folded dipole installation. We supply prefabricated coaxial cables with each antenna. Please provide the length required. All you have to do is provide and install a properly earthed alloy or galvanized steel pole.